I've not. Guess I can try that. This one has a bunch of enchantments already so I don't know. I'll let you know once I get the chance to try it. I don't know that I've ever gotten Mending in my time spent enchanting books. In fact, I currently have 72 XP or whatever because I got tired of trying and going through so many books. Guess I'll have to sit and grind it again. Seems to me there is a Testi-dude selling Mending. Grey has it locked up in prison somewhere. I have 2 or 3 of them I think. Back in the day when zombie spawners would spawn zombie villagers I would corral and cure them hoping for good trading partners. You're all welcome to use them, of course. I'll buy some this morning and put them in the enchanting room underneath the CommEx as well. : Couple dozen Mending books in the CommEx basement. Mend away! Last edited by 709 : 2017-10-24 at 08:22. You're all welcome to use them, of course. I think the Cashout Cove Police might be looking for you. Same reaction I get from Anna. You need a pet parrot, Drew. One you can love and feed NOT COOKIES. They die if they eat chocolate. I've been testing 1.12.2 update on my home server and so far it seems pretty stable. Anyone have an objection to me upgrading us? I just finished updating to 1.12.2 for the game server. All looked well and I completed a backup before updating. Enjoy! By the time I (eventually) return I won't even KNOW the place!! Are you being a litterbug Ken? I see you found my garbage pile. Yeah, I didn't need any of that crap. You can have it if you want. 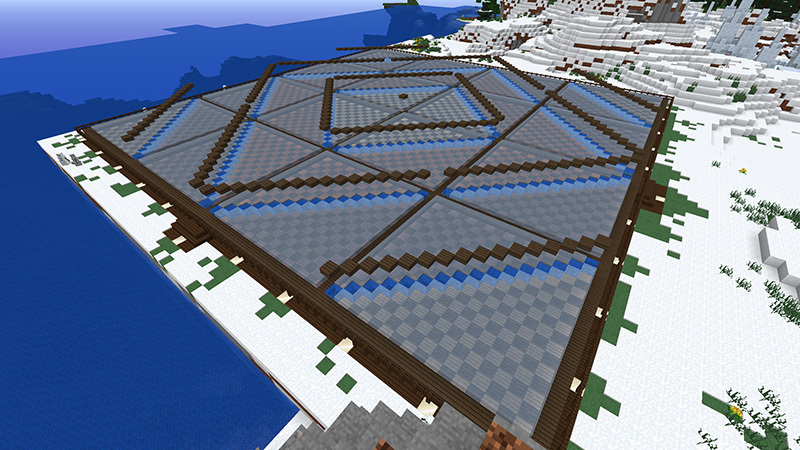 Ice farm! Because the rigmarole of using buckets to fill up a huge hole with water is exhausting. Farm is self-filling, so just bring a pick with Silk Touch and farm away. It's out by the flower farm past the huge ice spires. You should put a link in the community resources thread. I thought about that, but a handful of those links are dead or repurposed now. When 1.13 comes out I'll do a new, updated thread. Turtle killing farm included. 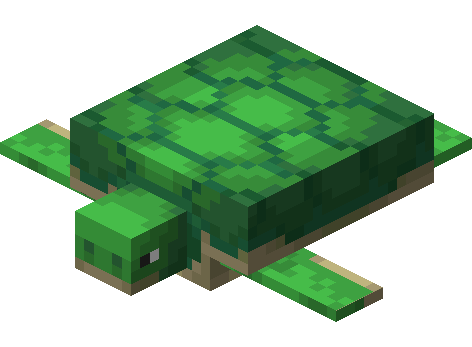 Are we getting turtles in 1.13? I haven't looked at what's coming down the pipe at all. I do need to get out there to check out the Ice Farm though. Yes, turtles. You'll be so happy! I can't wait for turtles! The eggs hatch! Baby turtles! They drop scutes when they grow up! Collect scutes to make a fancy hat! I'm going to have a turtle farm. It is going to happen for sure. Depending on what it will take of space I might put it near the house in CC. Sorry, drew. No pirate farms, yet. You need a parrot or two, Capt. Drew. So, where are all the cool kids working on projects in the Minecraft server nowadays? That ice farm looks slick. His underground presence there has, um, expanded. Under the dictionary definition of "understatement" is this sentence.